I’ve been lucky enough to meet Martin and other players from my boyhood side since and the story is always the same. A friend of mine played golf with Greavsie and I asked him to find out if he knew. From the answer I got my impression was that Greavsie knows more about the whereabouts but that Gillie doesn’t respond preferring his privacy. When creating this blog I thought now is my chance to ask the question that I have been asking of ex players to the internet community for someone out there must know what he is doing. I’ve had comments on that article and my stats tell me that he is the most searched hit to my site. Some of this may be down to his recent induction into the Scottish Hall of Fame but it appears quite clear to me that many supporters of Tottenham Hotspur Football Club hold Gillie in the highest of regards and would wish to welcome him back to White Hart Lane so that we can give him the type of reception that we believe he deserves for his outstanding period of service. 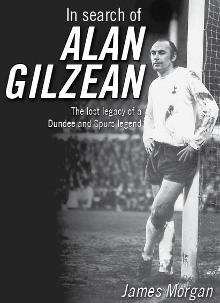 Mr Gilzean, if you are reading this, please accept my apologies if you don’t want to be brought back to the limelight – even once – but please accept that you have formed an important part of our lives; are a hero to many and for a 10 year period helped create the excitement that allowed a regular 48,000 to forget the drudgery or pressures of their everyday lives and live the dream. 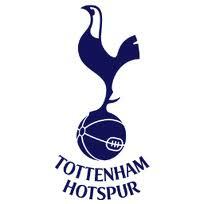 You helped us see Spurs win many games, regularly challenge for trophies and win them too. Your artistry in the air is beyond question and your partnerships with Messrs Greaves and Chivers the stuff of legends. Thank you for the part you played into making this club what it is today with your massive on the pitch contribution. Gilzean nets four against Rangers! I was at an evening with Steve Perrman and Graham Roberts last year. If I remember correctly, Mr Gilzean (a hero of mine, too) is living in the Western Super Mare area. Gilly is not quite as mysterious as you might think. Yes, he has been low profile for many years, but he featured on a Spurs-related video a few years back, and also was interviewed for a book about Bill Nicholson, as he answered his son’s phone in Scotland! Would love to see a Greaves-Gilzean Hall of Fame event at The Lane. Now that one I WOULD pay for! Here’s a link to an article in the Scotsman last year. Used to see Gilzean regularly both at WHL and at a friend’s commercial bakery nearby. Nice man. But what a smoker! How did he ever manage to make those runs [short, yes, but often quite smart too] into position while smoking so much? I used to drool over Gillie’s silky football during the late sixties and early seventies. I was a youngster then and always had that feeling of high expectation whenever he had the ball especially with Greaves lurking by. The media called them the G-men. Tony Galvin was the nearest – and then it was Ginola. Another G-man! Yes, Gillie was wonderful to watch – he rarely had a bad game. A true White Hart Lane legend, no more no less. Head like a threepenny bit, the ball would come off at all angles and land exactlyy where Gilly wanted it to. Congratulations on your induction, you derserve it. Greaves and Gilzean. Never been a partnership like it. Never will be. According to the 2002 Electoral roll he does live in Weston! Born is the king of White Hart Lane, you are a legend. according to what i read and was told,gilly did not like football and it was just a wage.also it was said after every home match gilly and a local reporter would go thru a bottle of scotch together.for a spurs corner he would stand halfway between the corner flag and the goal.the ball would be aimed at his head and fly off at all angles.the panic in the opposing defence was one of the joys of football. I can confirm gilly does indeed live in my home town of Weston-super-mare. I have had the privilege to see Gilzean in action alongside Greaves at WHL during our glorious years. What a player he was and what a header He is a legend we shall always be proud of. 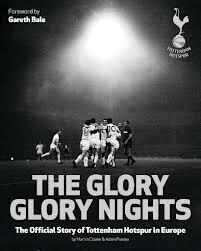 Gilly come back and visit us at WHL mate a true Spurs Legend. In the early 1980s I was working as a HGV driver for what was then the largest transport company in the Enfield area. Alan Gilzean was the transport manager and a finer man it would have been impossible to meet, know and work under. He would, like myself, now be retired and moved away from the area where he worked. Still none the wiser on his whereabouts last heard of in weston super mare. I am Amazed that i played the 1958-9 Season alongside Alan in Aldershot A side why was he not in the 1st team who finished 3rd bottom and had to seek re election we won our Division i remember scoring off his headers he made it look so easy, our Manager was Harry Evans whos Daughter was Married to the late John White.